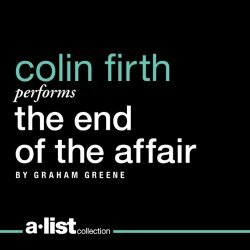 Actor Colin Firth reads the dreamy, reflective prose of Graham Greene in the 2013 Audiobook of the Year, The End of the Affair. A modern classic in its own right, the story examines the complexities of jagged emotions against the backdrop of a turbulent time. What happens when a seemingly passionate relationship is brought to an abrupt end? We experience it all through Maurice’s first-person narration, and his testimonial proves to be a one-man theatre showcase for Firth’s expert performance. As his character grapples with desire, jealousy, religion, and death, listeners realize that this is a story about so much more than two separated lovers.